Visiting the laboratories and offices of researchers can be a great way to demystify scientific research and showcase the various ways students can be involved with the medical sciences. Both The Oxford Vaccine Group (based in the Department of Paediatrics) and the MRC Brain Dynamics Network Unit (Department of Pharmacology) run annual structured days for school visits. The Oxford Vaccine Group offers a one day summer workshop for year 12 students studying A-level sciences which takes them through the process of vaccine development, and the MRC BNDU holds an annual Schools’ Open Day each March to coincide with Brain Awareness week. Aimed at year 10-12 pupils, on this day local secondary schools are invited to the Unit to see medical research for themselves and take part in practical activities, such as using microscopes to spot different types of nerve cell. Find out more. Many other departments also invite both primary and secondary schools to visit their laboratories, facilities, and buildings. The following departments in the Medical Sciences are happy to host visiting schools - please contact the Divisional Public Engagement Co-ordinator (naomi.gibson@medsci.ox.ac.uk) if you are interested in arranging a visit. Scientists from across the Division regularly go out to schools to deliver workshops around their research. These can be mapped onto the national curriculum, adapted for primary and secondary schools, and can take place over a concentrated hour or a whole day. The Division is keen to work closely with schools to understand their needs, and deliver activities that are most appropriate, so if you are a teacher interested in a researcher visit, please contact the Divisional Public Engagement Co-ordinator Naomi Gibson (naomi.gibson@medsci.ox.ac.uk) to discuss. Previous events have included: activities that raised awareness of whooping cough and the transmission of respiratory diseases at primary and secondary schools in the Thames Valley; a workshop on micro-organisms for children aged 6 and 7 years old at a primary school in Old Marston; and 'The Big Brain Roadshow,’ an event combining drama, movement and hands-on activities to give young people an introduction to the history of brain imaging from the 1800s to the present. 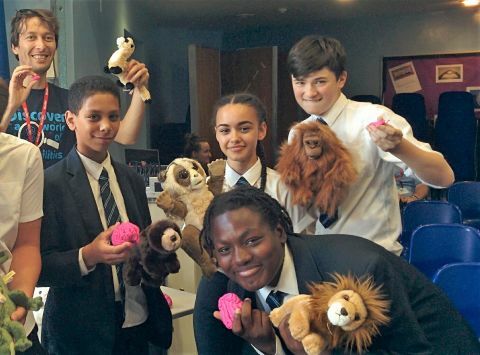 The Wellcome Centre for Integrative Neuroscience (Nuffield Department of Clinical Neurosciences) offers a programme for primary and secondary schools. Read Oxford, a research group based in the Department of Experimental Psychology also offer primary schools resources and visits as part of their efforts to understand how children learn words. Many of our departments offer formal work experience programmes that give secondary school and sixth form students the opportunity to experience life in a lab and gain a deeper understanding of various scientific topics. These typically take place over the summer. You can read about one student’s experience in a lab in the Nuffield Department of Clinical Neurosciences here. In addition, many departments in the Division have an established relationship with in2ScienceUK, an award winning charity which empowers students from disadvantaged backgrounds to achieve their potential and progress to STEM and research careers through high quality work placements and careers guidance. 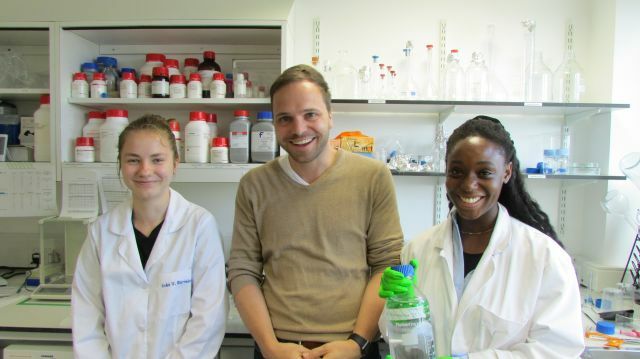 Students regularly spend time with researchers and in laboratories as part of this programme. Emma Quartermain (above) spent two weeks in a lab with Professor Becker - read about her experience. If you are a teacher interested in work experience placements for students, please contact the Divisional Public Engagement Co-ordinator (naomi.gibson@medsci.ox.ac.uk). UNIQ is a programme run out of the University of Oxford that offers secondary school students studying at UK state schools the opportunity to experience life as an Oxford student through a range of summer schools, residential conference and digital learning platforms. UNIQ aims to raise aspirations and encourage students to make informed decisions about higher education. Many researchers throughout the Division run sessions at UNIQ Summer Schools – read about UNIQ sessions in the Department of Experimental Psychology. UNIQ students in the Department of Oncology. 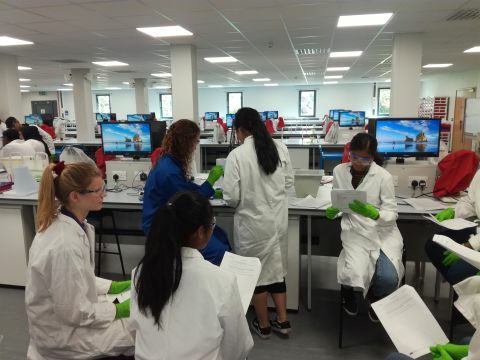 They explored the world of cancer research on a course that covered cancer biology, biochemistry practical work, immunotherapy, radiotherapy, metastsis, clinical trials and screening. Researchers are also involved with Target Oxbridge, which aims to increase the number of black African and Caribbean students at Oxford and Cambridge by helping talented pupils to apply – read about an NDORMS session. ‘A Case of Crystal Clarity’ (Department of Biochemistry) explores a technique called X-ray crystallography, that is used to determine the structure and shape of objects and proteins. 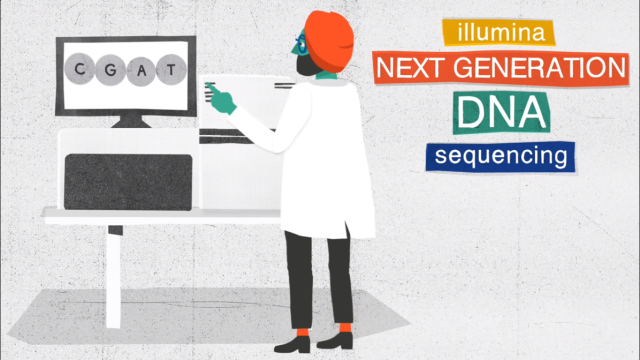 ‘How to read DNA’ (Radcliffe Department of Medicine) explores the techniques behind genetic sequencing. ‘Brain Development in Teenagers’ (Department of Experimental Psychology) explores how our brain changes as we grow. ‘Another Case of Heart Trouble’ (Radcliffe Department of Medicine) explores inherited heart conditions and how genetic sequencing can shed further light on this. 'Hip Hip Hooray' (Nuffield Department of Rheumatology, Orthopaedics and Musculoskeletal Sciences) explores the link between sports, bone development in the young, and arthritis. ‘DNA: A Rich Tapestry’ (Wellcome Centre for Human Genetics) explores how clues to our ancestry and the genetic makeup of the British Isles are stored within our DNA. Discovering life-changing dementia treatments (Alzheimer’s Research UK Oxford Drug Discovery Institute) looks at how researchers at the University of Oxford are developing drug treatments for Alzheimer’s disease, by harnessing the power of the brain’s microglia. The Wellcome Centre for Human Genetics offer ‘try at home’ activities and free, downloadable classroom materials for debates on obesity and allergies. The MRC Weatherall Institute of Molecular Medicine has developed a classroom activity to introduce students to the basic principles of immunology, specifically antibodies, in both their biological role in immune defence and as research tools by using a hands-on activity to practice working scientifically. This is hosted by Oxford Sparks. The MRC Weatherall Institute of Molecular Medicine also offers workshops and courses for local school teachers to engage them with with the latest scientific advancements, an initiative that enables teachers to enrich their delivery of the science curriculum. Contact Caterina Vicente (catarina.vicente@imm.ox.ac.uk) to find out more.